Navid: This is a basic recipe for a goulash dish. You can alter this recipe by adding your favorite vegetables such as potato or carrot. 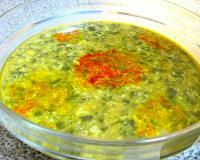 You can also add herbs such as parsley or thyme to enhance the taste and aroma of the dish. 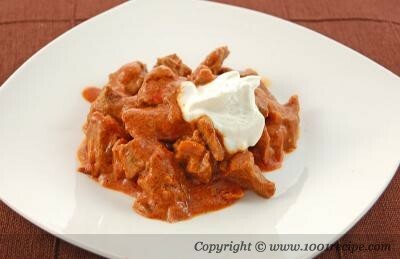 The main spice in goulash recipe is paprika. 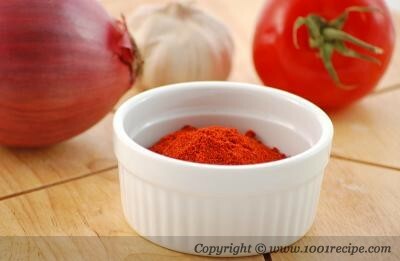 My suggestion is to either use Hungarian sweet paprika or Spanish paprika. 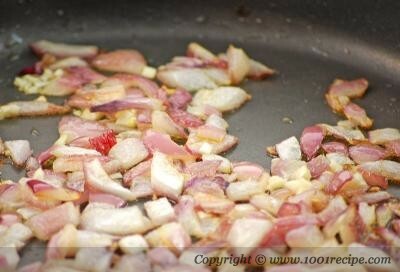 We start by frying onion and garlic. Next we add beef and paprika and fry some more. Finally we have to add beef stock and tomato paste then cook until meat is tender. 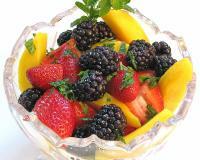 Serve with some sour cream and fresh lemon juice. 1. Saute onion with olive oil for 5 minutes or until soft. 2. Add garlic and saute 2 more minutes. 3. 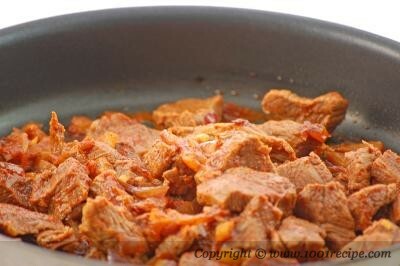 Add beef cubes and paprika then fry until brown on all sides (3-5 minutes). 4. Add beef stock and tomato paste. Season with salt and pepper. 5. Cover and simmer for 1 hour on medium heat or until meat is tender. Stir occasionally and add water if it gets too thick. 6.Before removing from the heat, stir in the sour cream and lemon juice. 7.Serve with rice or pasta. actually....fry the onion,garlic...then add meat...then add paprika, Hungarian [yellow] papper,1/2 red papper...then cook them with tomato pasta [about 1/2 tbsp]..and add a real tomato.Peel them first!add the broth slowly for them ...then it make the base thickeralso use at least 4 onions for the base...onion and garlic is the main things for this recipe....and paprika...of course....oh yeah almost forget...CARAWAY SEED!!!! about 1 tablespoon!! !